“Prediction is very difficult, especially about the future.” So said Neils Bohr, the influential Danish theoretical physicist. 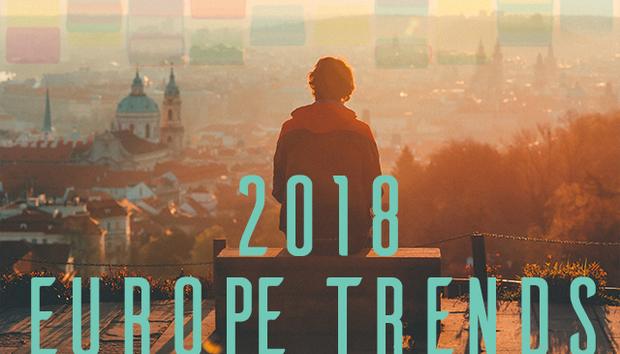 Although his words are certainly true of mathematics and quantum physics, predicting European technology trends for 2018 is arguably a simpler affair. Two icebergs in particular loom large on the horizon. The first of these is GDPR, for which many European firms are still woefully and perhaps dangerously unprepared and uninformed. At its heart this is not purely a technology directive, but because privacy (or lack thereof) is now inextricably tied in with technology, this new EU regulation will force wide-ranging change in the ways enterprises use IT. Its effects will be felt not just in Europe – any organisation holding data on EU citizens must comply, wherever in the world they're based – but that's where the brunt of its impact will hit. When it comes into effect on 25th May, the EU will have more power than ever before to oversee the privacy-related practices of organisations and punish them effectively for transgressions. Expect muscle-flexing showcase prosecutions in the first six months, probably aimed at large companies perceived to be taking a laissez-faire attitude to EU citizens' personal data. One or two large, US-based, data-driven companies spring to mind as being juicy potential targets. Then, of course, there's Brexit. Whichever side of that political schism you happen to identify with, the 'divorce' of Britain from the EU is already an eventful, chaotic and unpredictable process. It seems unlikely that much clarification or stability will emerge in 2018, leaving organisations to hedge their bets on many fronts, including IT. European organisations doing business in the UK, and UK companies doing business in Europe, will be dogged by a frustrating lack of clarity right up to the final separation date and probably for some years thereafter. Since that accounts for pretty much every large business in the UK and Europe, no enterprise is entirely sheltered from the Brexit fallout. Contingency plans will be required, and IT will be a big part of that, both in its own strategic terms and in supporting the fast-changing business environment. The Chinese symbol for 'crisis' isn't actually a combination of 'danger' and 'opportunity' but other philosophies could be applied. For example, “Trouble is only an opportunity in work clothes,” according to Henry J. Kaiser. If so, Brexit offers technology opportunity in spades.